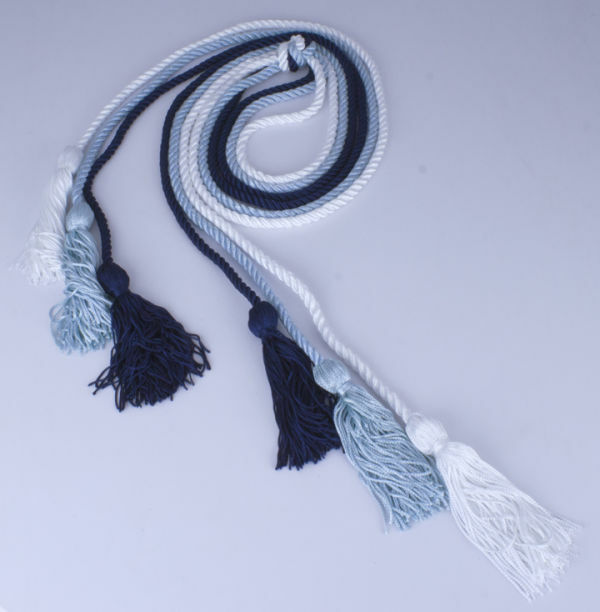 Durable triple honor cord, tied together at center; to be worn during your commencement ceremony – recognizing achievement in the field of Human Resources. Solid colors of Navy Blue, Light Blue and White. 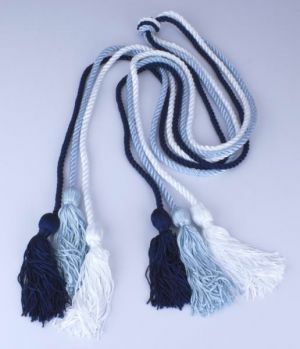 Cord length is 60” with an attached tassel measuring 4 ¼” with identical banding.